I have already spoken about our not-so-recent travel habit of booking a flight and a place to lay our head at night (in Italy maybe not even these two) and then stopping the research cold. We have now done this for Sardegna, Brussels, Krakow and most recently for Tunis. Mint tea with pinoli. It was as good as it looks. Usually between the flood of papers we pick up at the airport and the local tips we amass from friends before we leave, we fare quite well. As a back up, just walking around discovering it for ourselves usually bails us out. For this trip, though perhaps a bit like our Sardegna trip, our standard M.O. could have used some work. We got in on Friday at 8 pm and left Sunday at 6 p.m., so it was really only 48 hours to fill. If anything I was worried about not having enough time in Tunisia. But it being January, we knew that we would have to save some things for next time anyway: Tunisia has 810 miles of beautiful coastline. To visit these in the middle of winter would be like going to a well without a bucket; Hammamet and Djerba would have to wait for another visit. Regardless, I was just excited to see a new country (one that is so close to Rome that it is shameful to ignore), to speak French, to drink mint tea (which they have in abundance) and to eat hummus (which, it turns out, they don't have at all)... My research could have probably told me this, had I done any. 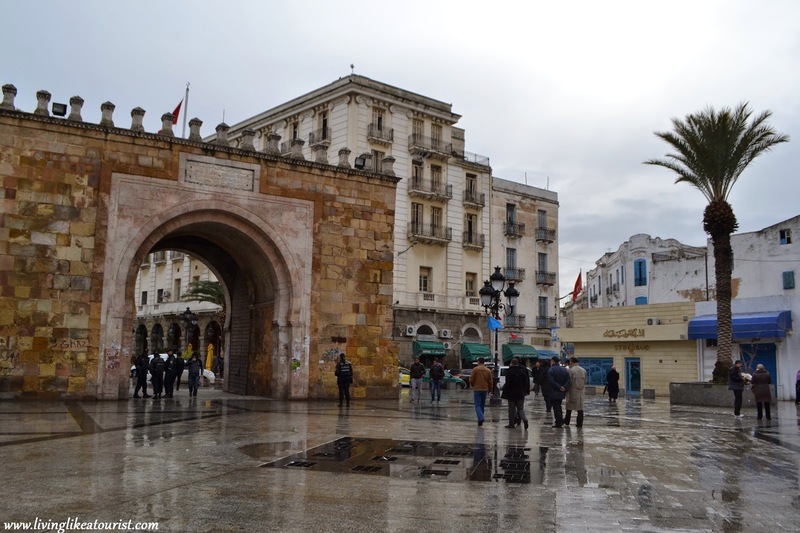 However, our hotel was well located to the couple sites we did know to visit: Avenue Habib Bourguiba, St. Vincent's Cathedral, the clock tower, the opera house, and the souk. But at 8 pm on our first night, none of this information told us where to get a quick meal or that long awaited mint tea. When the three brochures (one in German) that I had picked up did not guide us and texting a friend did not work instantaneously, we turned to our old reliable back up of walking. After an hour of that though, we ended up at the only real restaurant we came across, L'Orient, the one directly across from our hotel. Lucky enough it was not only one that serves local food but also serves wine (not common) and mint tea (very common). We had all three and were very happy with the results. The next day in our cursory kind of way we visited three of the sites that make up the former Carthage, the Antonin baths, the amphitheater still used today for concerts and the former St. Louis Cathedral, now also used for concerts. 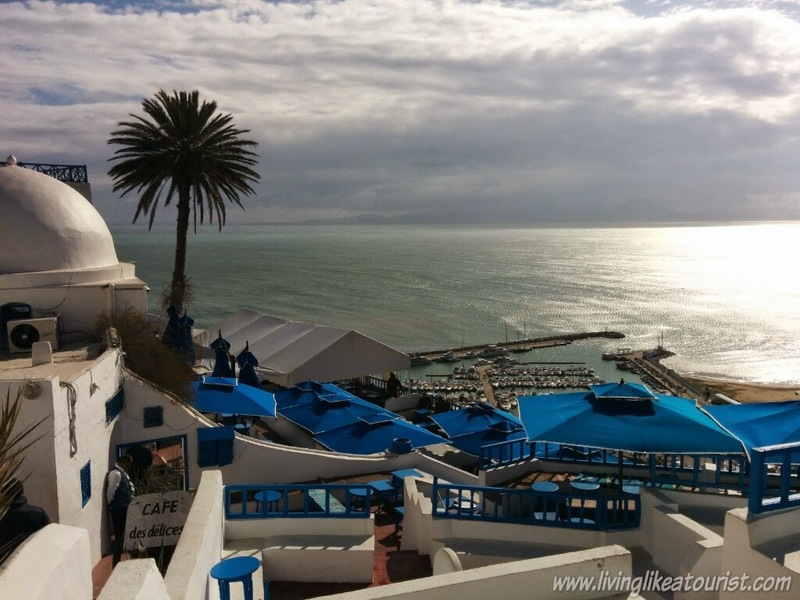 We then headed to Sidi Bou Said, a town outside of Tunis that is known for its exquisite blue doors and serenely white buildings. The whole town bathed in white and splashed with blue gives the effect that waves from the Mediterranean have swept over the city and colored pieces of the town themselves. This is exactly the type of tourism that I love, wondering around admiring the beauty and details of a place without any particular slant on why it is or should be important. Just seeking out beauty for the sake of beauty. 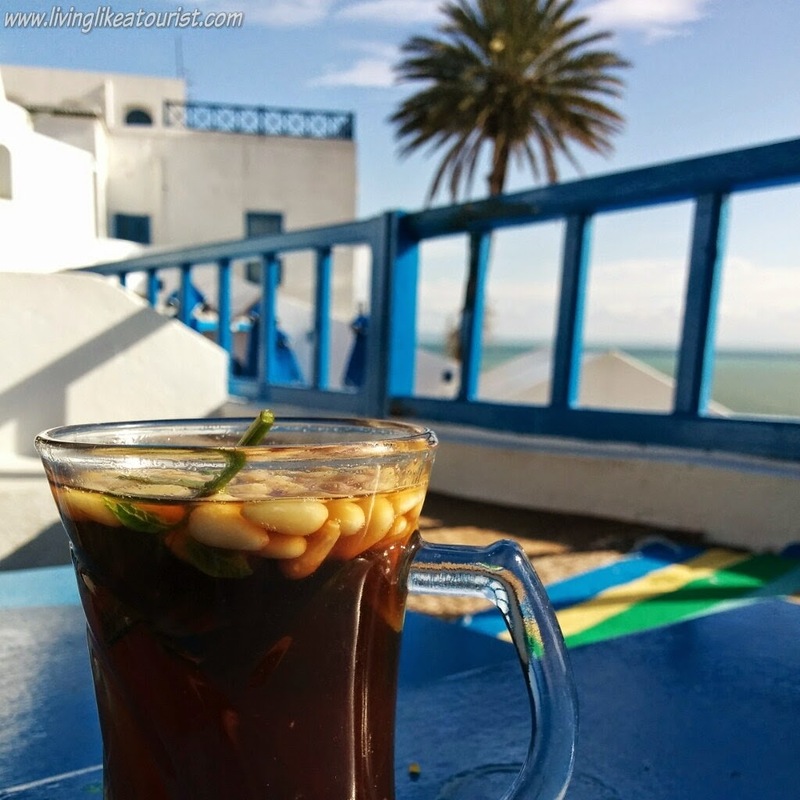 After Sidi Bou Said, we were left to our own devices for figuring out what to do and we wandered in the car from small towns to small neighborhoods looking for cafes, restaurants, centers of activity or the like. 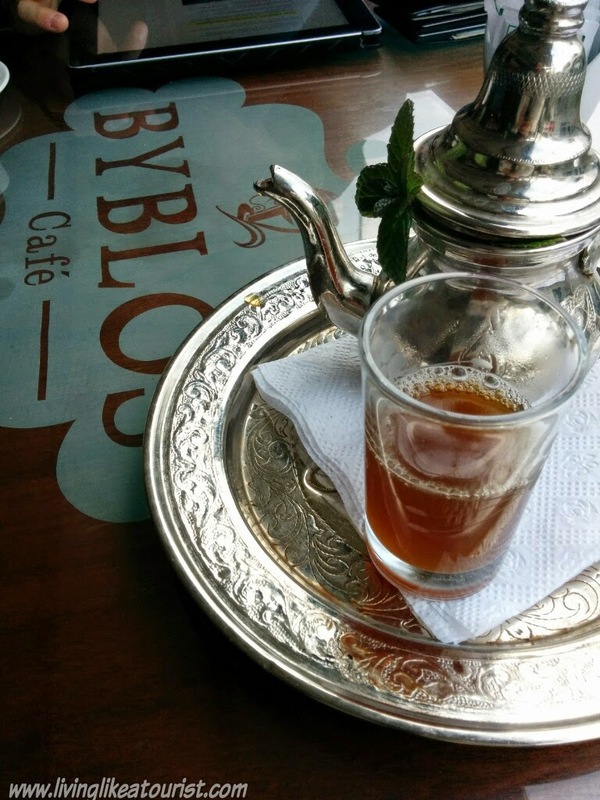 We did find some nice cafes to have more mint tea. We did not really find any centers of activities. We stopped in a mall just to see if that is were the people were. We found the name of one restaurant that was completely tucked away but apparently so popular that you needed to make a reservation at least a week beforehand. We ended up at the Movenpick lobby for a drink out of the cold and the rain. We were told it had a lovely view, but we had to just imagine it through the darkness of January's 7 pm. Sunday we wandered through the souk and successfully purchased some things, bargaining but apparently not too well as we got a gift for buying a mirror. (This inevitably meant that we paid too much and the shop owner felt guilty). But I liked both the mirror and the "gift" and was willing to accept the fact that what we paid was fine by our standards even if it was too much by a local's. 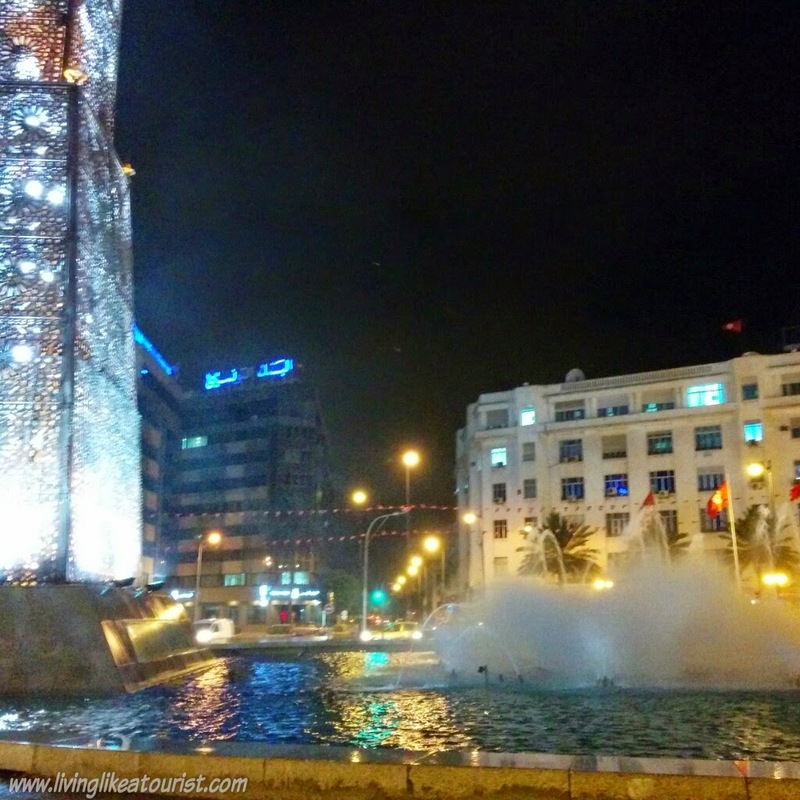 The rest of Sunday we kept wandering first by foot then by car: La Goulette, La Marsa, Gammarth, the Movenpick again. It was all very pleasant, the drives, the scenery, the random stops, but I did get the sense a little that we could have used some more direction. 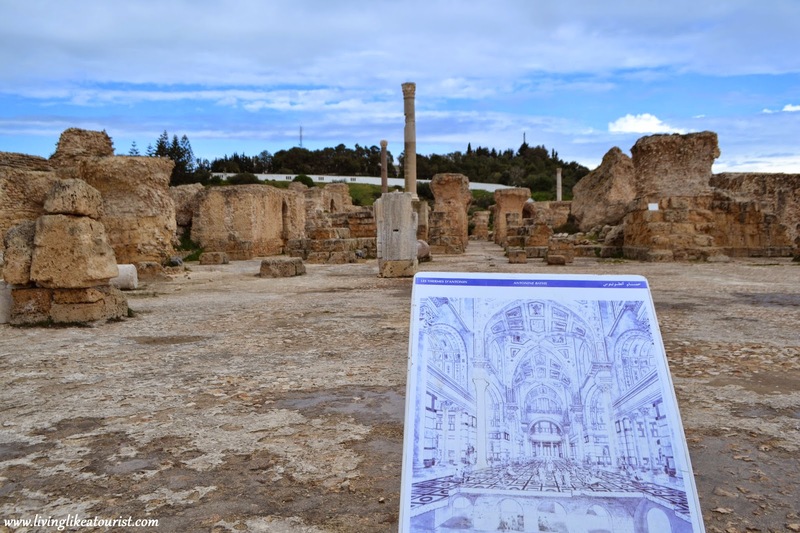 Did we miss out on a very important historic part of Tunis? Maybe. Did we skip over some hip, happening neighborhood? Most likely. Did we wrongly guess that things were closed because of the winter months and the slow down in tourism after the revolution? Probably. We were aimless, yes. But sometimes it is nice not knowing what you are missing. I just enjoyed tasting food that was very different than I expected, talking with the incredibly nice people, noticing the striking details in the architecture and witnessing the many similarities but also the large amount of differences between Tunisia and Italy, two countries that are essentially neighbors. 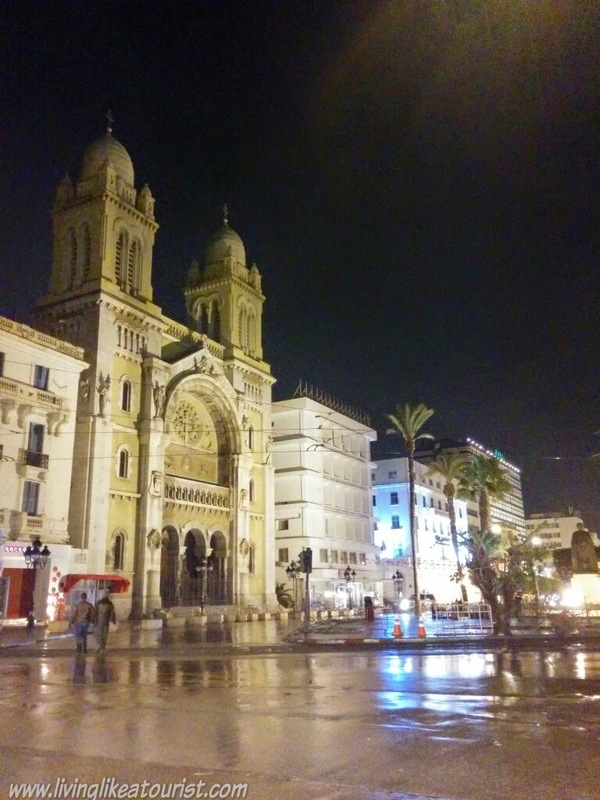 In the end, this trip was a little Tunisian amuse-bouche, a taster of the country just beyond Sicily. Being only a 50-minute flight from Rome, I reassured myself that we could always go back. So as we told our new friend from the souk, the slightly richer shop owner, we hoped that it was a la prochaine and not adieu to Tunisia. Maybe for the next trip we will do a little more research. Then again, maybe not. You don't always need a direction to enjoy the world in front if you.